First things first, this is not an attempt to excuse what Jamie did. Just an examination of some of the factors that might have been at play and what we can learn to stop ourselves from reacting badly to situations. I'm probably not the only one who was quite surprised to see Jamie Carragher in the media for the spitting incident which has at least temporarily stopped his career as a pundit. In his 508 Premier League games he was only sent off twice, a great record for a defender, and has never come across as someone who is prone to emotional outbursts. So what made him spit at the car containing a supporter from another team and what can we learn from it? Well it might surprise you to know, I don't have an inside line to Jamie so you'll have to make do with my assessment. How we react to incidents depends on many things but I just want to focus on three of them. Your temperament is your basic nature and it differs for all of us. Some people are unfailingly placid and never let anything get to them. Others are quick to anger or permanently grumpy. Temperament is semi-permanent although it can change with age. I'm currently going through the 'grumpy dad' phase although my children would probably tell you I've been that way permanently. If we're provoked, which is what appears to have happened in Jamie Carragher's situation, our temperament will be the baseline from which we react. Recognising that you have a temperament that makes you likely to react spontaneously can be the first step to adjusting your responses. It allows you to work on identifying the early signs of an emotional response and work out strategies to deal with it. I don't know what Jamie Carragher's temperament is like but his disciplinary record as a player and his public persona seems to suggest he wasn't prone to outbursts. Moods are a form of emotional response but they last longer than 'pure' emotions and are less permanent than your temperament. They're less intense than emotions but more intense than our baseline temperament. Our mood can be affected by specific incidents which caused an emotional reaction but can also be affected by lack of sleep, nutrition and alcohol. So if you've had a number of emotional responses over the course of a few hours, they can alter your mood. Add in a lack of sleep and a disrupted diet and your mood can significantly worsen. Again I don't know how Jamie Carragher spent his day but as a pundit at a lunchtime fixture he probably had an early start, his mood will have worsened as the team he supports were beaten and he was then exposed to a prolonged situation that will have triggered the physical fight or flight response. We've probably all found ourselves in situations where a series of minor events, coupled with a lack of sleep has led to a less than optimal outcome. Emotional responses form in around 0.25 of a second and last for up to six seconds before they morph into feelings. Our emotions were designed to keep us alive and evolution hasn't really kept up with the changing world in which we live. Emotional responses can form independently of mood of temperament. If our body identifies something as a threat it might generate the emotion of anger or fear regardless of our mood or temperament. Emotions are linked with the release of chemicals into our bloodstream that change how we feel. Fear is associated with the stress hormone cortisol and also adrenaline while happiness is associated with chemicals like dopamine and oxytocin that make us feel good and 'together' with others. I suspect that Jamie had a number of emotional responses prior to spitting at the other car, each one releasing chemicals into his system until he lost control. While there might not be much we can do about our temperament, there are things that we can do to affect our mood and emotion. The work of scientist Paul Ekman and others showed that certain muscle groups in the face are associated with certain emotions. If you can trigger those muscle groups you can change how you feel. I compete in ultramarathons and make a conscious effort to smile at people I see at checkpoints. When they smile back it reinforces the feeling and my body releases positive chemicals into my blood stream. At 75 miles into a race that can be a powerful thing. You may not be racing an ultramarathon or being confronted when you're driving your car but if you're in a bad mood and you're about to go into a situation where this will be counter-productive, then finding ways to smile can help. I find both this video and this video work for me. Emotions catch and finding ways to 'catch' more appropriate emotions can be effective. We all act based on our emotions but often aren't conscious about which emotions are at play. Being curious about how you are feeling and labelling your emotions can help you deal with the situation better. If Jamie had labelled how he was feeling when the other car pulled alongside him he'd have been more conscious about how that might play out. The more curious you are about your emotional responses the more aware you will be about what triggers certain emotions and how your body responds. That allows you to react more quickly. As you feel an emotion taking hold you can ask yourself how valid that emotion actually is. You can also ask yourself how other people might respond in that situation and what they might think about how you are beginning to react. Questioning forces the analytical part of your brain to become more active. This in itself can dampen the emotional response and help you regain control of the situation. We can never fully control our emotions but understanding our temperament and the mood that we are in can help us react better to our emotional responses. 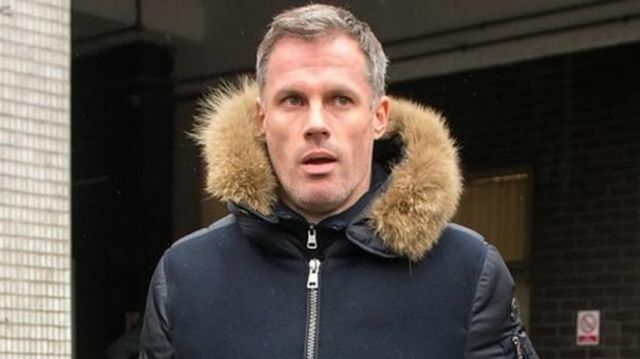 Ex-Liverpool and England defender Carragher was filmed spitting from his car at another vehicle after Saturday's Manchester United v Liverpool match. He has apologised for the incident. Jamie Carragher won't face any police charges over Saturday's spitting incident. Sky say he will "get the help he needs to guarantee something like this never happens again".